It’s that time of year again! It’s time for family, friends, and of course, gift giving. Our expert for dental implant restorations in Chicago wants you to remember that it’s easy to incorporate dental health into the holiday season. When you’re shopping for gifts for your loved ones, add these ideas to your list! Try something interesting for your stocking stuffers! Try to limit the amount of sweets that you give out and instead opt for things like dried fruits, nuts, and dark chocolate. Additionally, gifting small things like floss, floss picks, or travel-sized toothpastes and toothbrushes are great and they are the perfect fit for stockings. You can also gift sugar-free, tooth-enamel beneficial chewing gum. 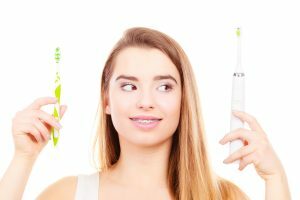 It can be expensive to invest in a high-quality electric toothbrush or other dental tool. However, it’s important to have quality tools to keep up on your dental health. Electric toothbrushes are designed to spin at a high speed and vibrate to get the most plaque and buildup off of your teeth, making them the most effective toothbrush. Water picks are also great investments and make flossing easy, especially for those with traditional braces. Gift a quality electric toothbrush to your family or friends. If you or someone you’re looking to buy a gift for has thought about replacing crowns, getting veneers, or just needs a dental checkup, the holidays could be the right time to get the perfect smile you want! You can also think about giving gift certificates to put towards treatment if you’re not sure what your friends or family are looking for. Contact our expert for dental implant restorations in Chicago today to find out more or schedule an appointment!